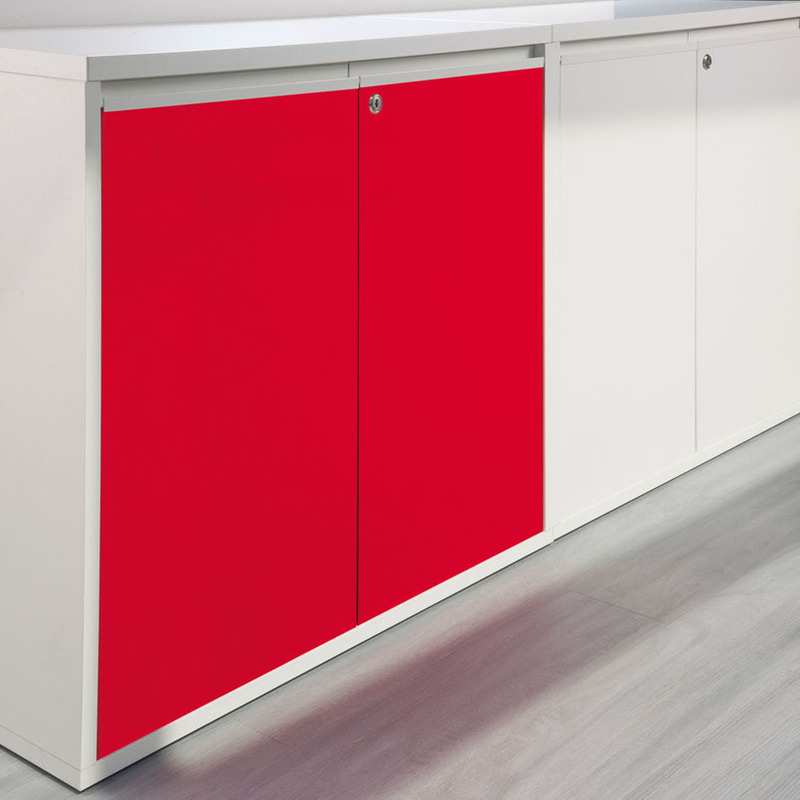 The Navert tambour cupboards are not only available in the traditional metal or wooden finishes, but also with 'fun' tambour doors in bright colours. 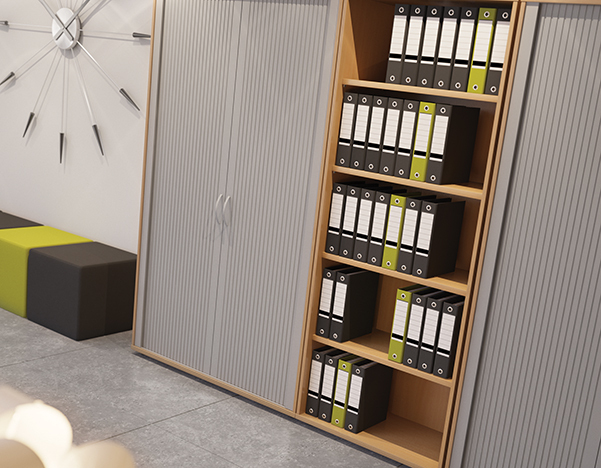 An extensive range of storage units matching the EOL system furnitureCupboards, storage columns and boxes made from 19 mm thick melamine panels – except on the H. 42.5 cm sliding doors model for which the base and structural top are 25 mm thick. 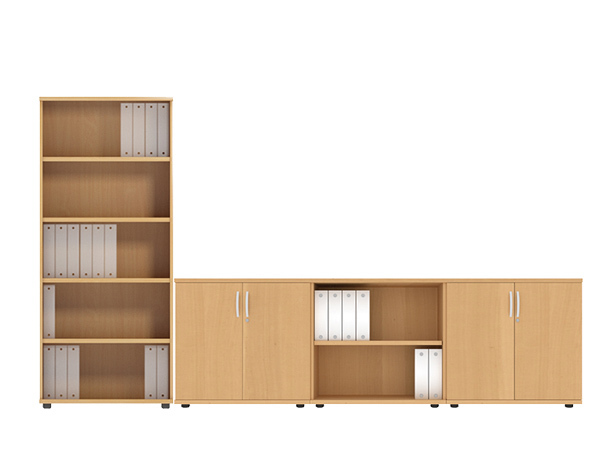 Cupboards H. 113.5 cm are also fitted with a 25 mm thick top. 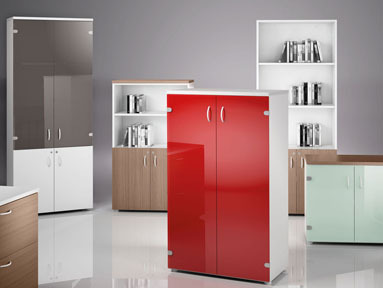 Cupboards H. 42.5 cm with Altuglass® doors. Built in circular chrome door handle. 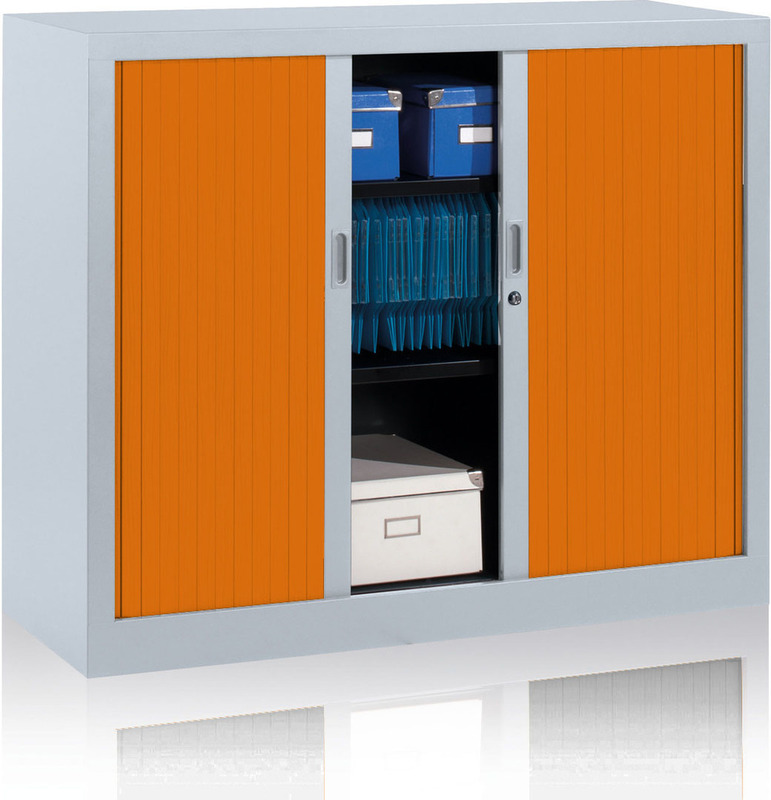 Cupboards not lockable. 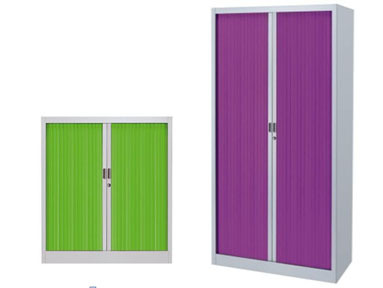 Can be placed on top of cupboards H. 71 and H. 113.5 cm. 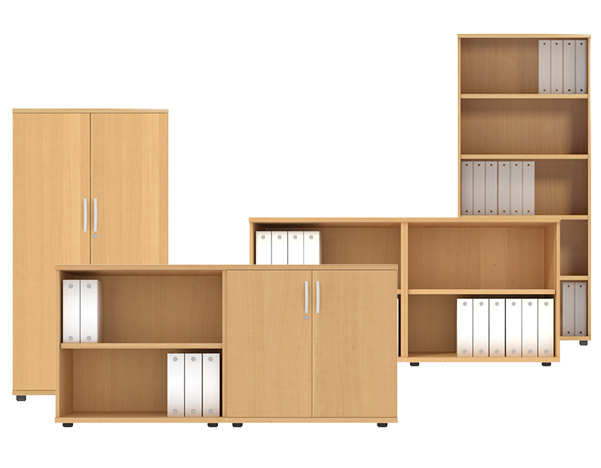 Swing and sliding door cupboards with melamine doors. 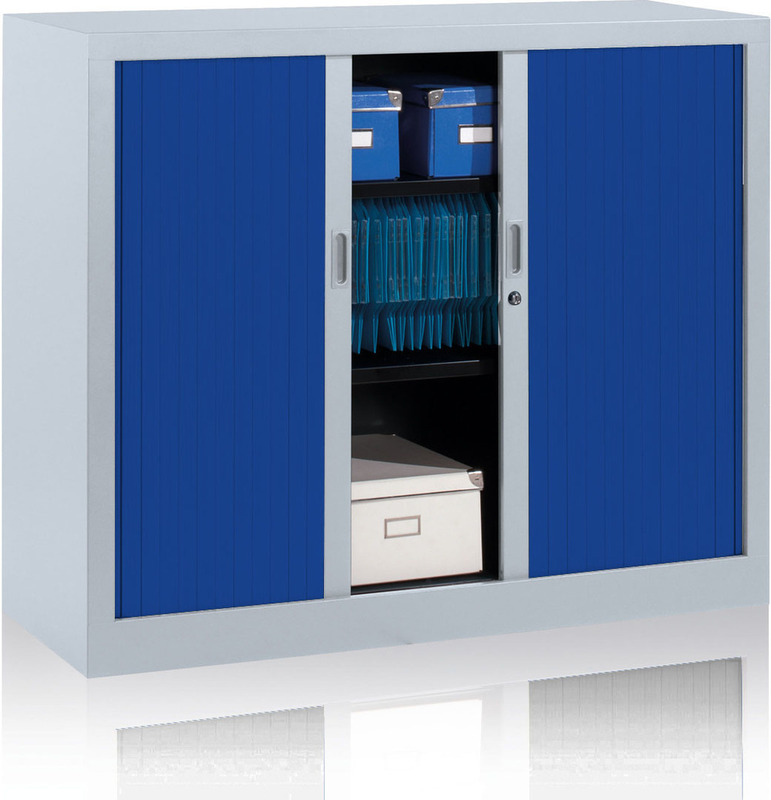 Recessed metal handles in matching finish over the full height of the cupboard. Central locking. 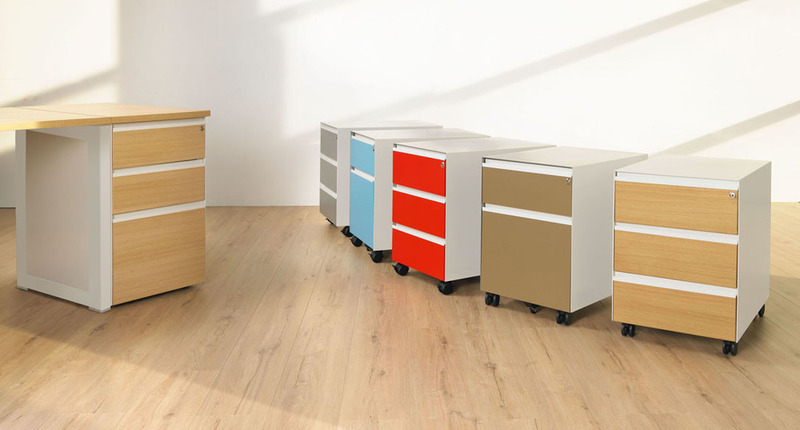 3 drawer filing credenza comprising 1 filing drawer and 2 box drawers. Central locking. Optional decorative top. The structural top matches the finish of the return shell. 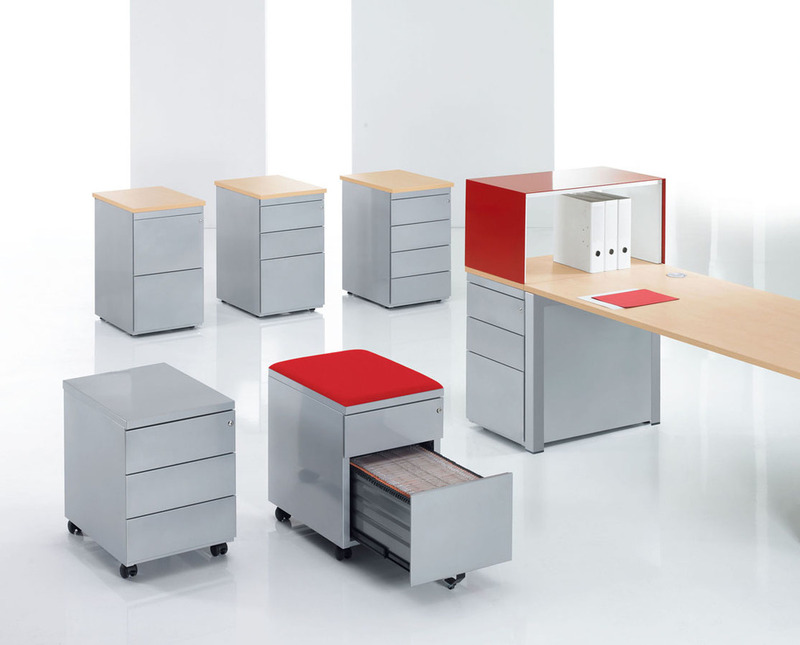 Our Diverse range of universal storage can be used on its own or to accompany our Switch, Komo or Ashford ranges as well as complementing our Morph training, Kito meeting tables and Ashford reception.